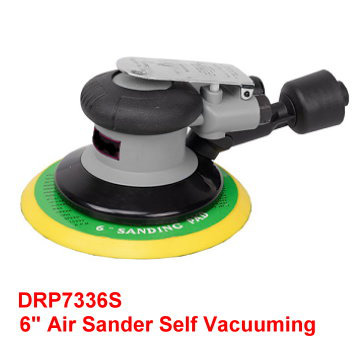 Description： 6" "Air Sander is designed for all kinds vertical and overhead sanding applications. 1) Heat treated eccentric shaft by Ipsen imported from Germany. 2) High quality bakelite rotor blade,durable and hard to deformed. 3) Industrial bearing,high precision and long working life. 4) Light Weight, Low vibration, Low center of gravity design. 5) Perfectly Balanced Sanding Pad, Low vibration for swirl-free finishes. polisher of welding slag,weld,rust,burs and metal products processing residues.